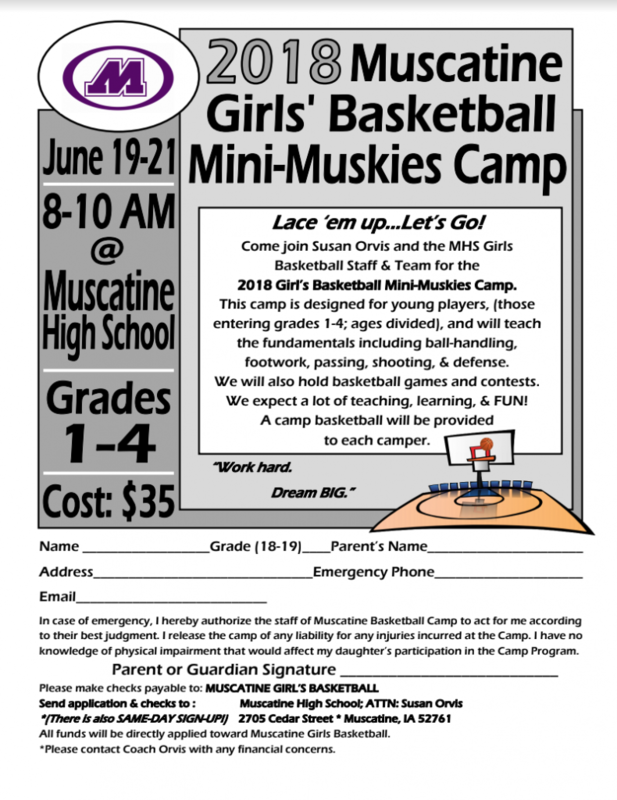 Description: Come join Coach Susan Orvis and the MHS Girls Basketball Staff and Team for the 2018 Girls’ Basketball Camp! 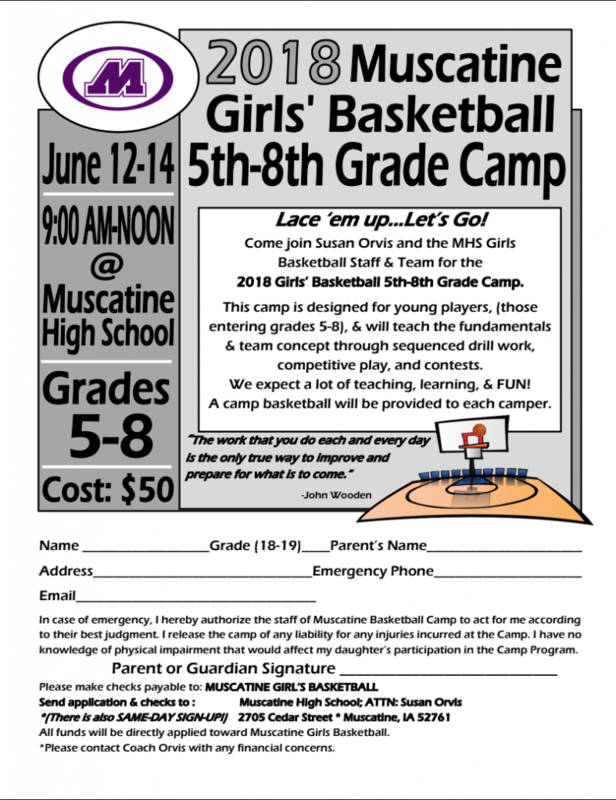 Both camps are designed for young players and will teach the fundamentals that are age appropriate. We expect a lot of teaching, learning, and FUN! A camp basketball will be provided to each camper!